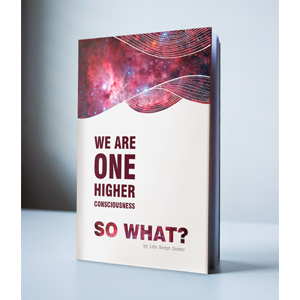 We Are One Higher Consciousness … So What? Acquire knowledge about higher levels of consciousness in order to live in harmony with Nature during informational paradigm. Learn powerful visualization techniques to help you ecologically go through the crisis years of your life. Free your life line from subconsciously controlling stress and get back the energy you have lost in the past. Self–help guide to the energy-informational Field with visualization techniques, worldview explaining the purpose of life and how the human brain interacts with the human heart on the levels of higher consciousness.